Ariane 6 engines have passed muster ... they took their test firing in stride, and received final qualification of a test campaign in space vacuum conditions for the Vinci re-ignitable engine, and enjoyed the successful first development test campaign for the Vulcain 2.1 engine. Qualification of the two liquid propulsion engines and the solid propulsion engine for the Ariane 6 launcher passed major technological milestones over the summer of 2018. On July 24, the Vinci re-ignitable engine, designed to power the Ariane 6 upper stage, completed its development/qualification tests in space vacuum conditions on the P4.1 test stand on the DLR site in Lampoldshausen. This campaign demonstrated the engine’s ability to carry out four successive re-ignitions in space vacuum conditions, for a total duration of 360 seconds. This is a decisive step in the development of the Vinci®, as this re-ignition capability is one of the key features of Ariane 6, notably for launching satellite constellations. This qualification engine will complete its tests during the rest of the campaign on the ArianeGroup site in Vernon, in October. 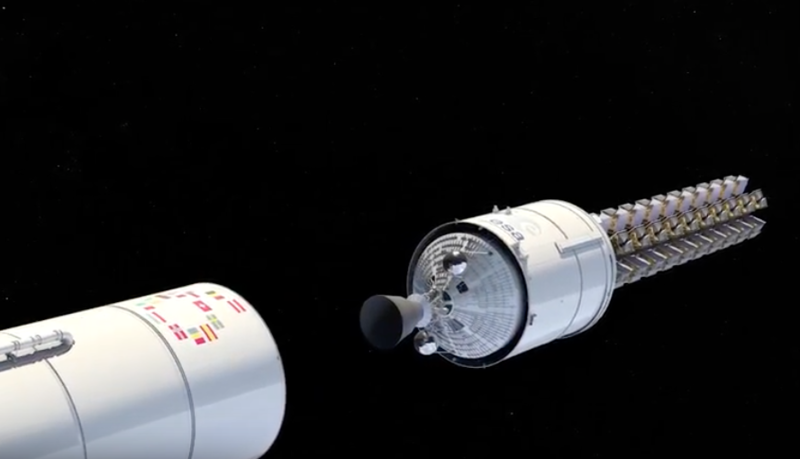 A new engine with an identical configuration will be integrated with the upper stage of the first Ariane 6 flight model as of 2019, on the ArianeGroup site in Bremen, Germany. August 9, saw the completion of the first development test campaign for the Vulcain 2.1 engine, which will be powering the Ariane 6 main stage. This campaign comprised 12 successful tests of the M1 engine on the P5 test stand at DLR Lampoldshausen. This brings the total operating time during testing of this optimized version of the Ariane 5 Vulcain 2 engine, specially developed for Ariane 6, to 6,315 seconds. The M1 engine will be reconfigured and then tested again on the PF50 test stand on ArianeGroup’s Vernon site before the end of the year. The second Vulcain 2.1 engine (M2) will for its part begin its development test campaign in Germany in the autumn. Following the Vulcain 2.1 engine qualification tests, the flight engine will be integrated with the main stage of the first Ariane 6 on ArianeGroup’s Les Mureaux site, as early as 2019. 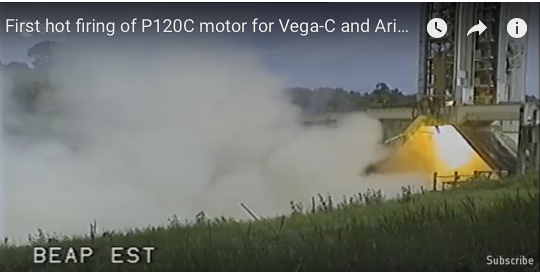 Finally, on July 16, the first P120C solid fuel booster was successfully test fired in French Guiana, on the booster engine test stand in Kourou. Developed jointly by ArianeGroup and Avio, through Europropulsion, their 50/50 joint-venture, the P120C is the world’s largest carbon fiber, monolithic solid fuel rocket, designed to equip the boosters for the two versions of the European Ariane 6 launchers. Ariane 6 is a European Space Agency (ESA) program, for which ArianeGroup is lead contractor and design authority.